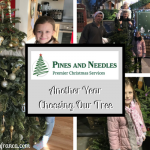 This is starting to become a lovely tradition for us at this time of the year! 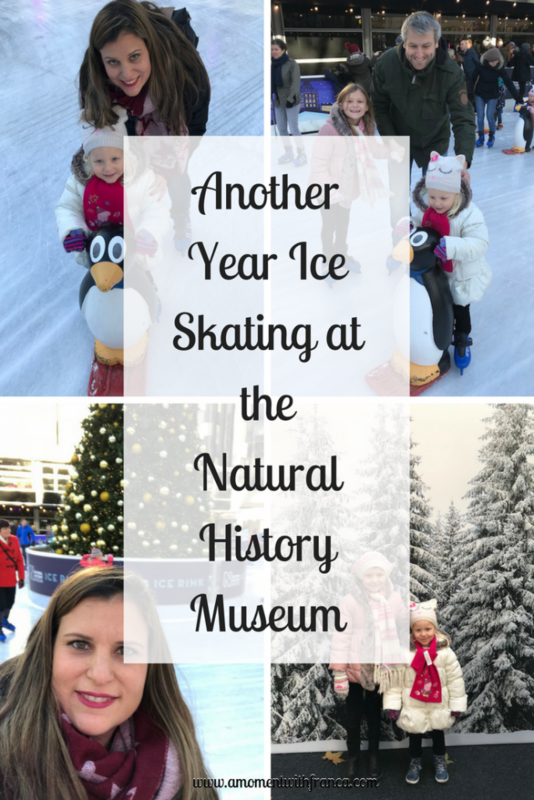 As soon as the festive season starts we love going to the National History Museum Ice Rink! 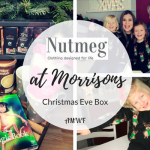 It is the perfect activity to do with your family and the venue is stunning! 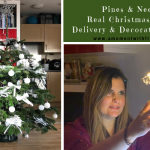 It is a magical moment which raises your Christmas spirits! We went last year for the first time and we loved it! 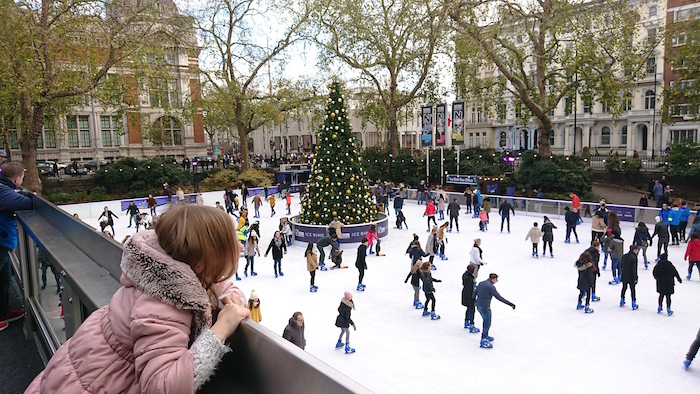 The glistening ice rink which runs alongside South Kensington’s tree-lined streets is topped off once again with a sparkling 30ft Christmas tree which looks amazing! It is very popular and you will be guaranteed good fun for the whole family. It officially opened on 26th October but you can enjoy it until 7th January 2018. This year they have launched a Kids Fast Track Skating course which is a fun-filled four-day course for ages 6 to 16. They will be taught key skating skills to get them ready to skate around the rink in no time. The last two courses of the season will be from Wednesday 27th December to Saturday 30th December and Tuesday 2nd January to Friday 5th January. 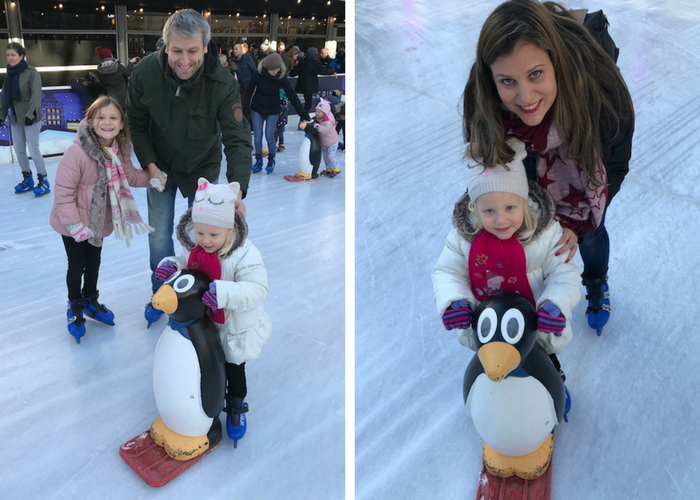 They also have The Penguin Skate Club which takes place on Saturday mornings and is designed especially for tiny ones aged 4 to 8 years old. 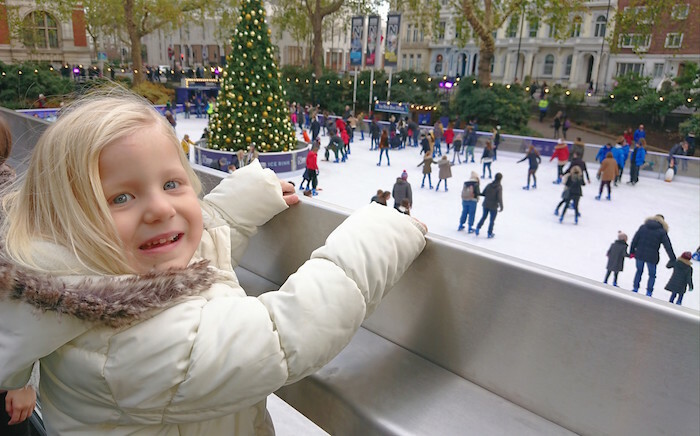 With the help of the Natural History Museum’s much-loved penguin skating aids, your little ones will have a 30-minute skating lesson whilst parents can watch from the side of the rink or enjoy a hot drink in the Café Bar. We went on Sunday morning at 11am. 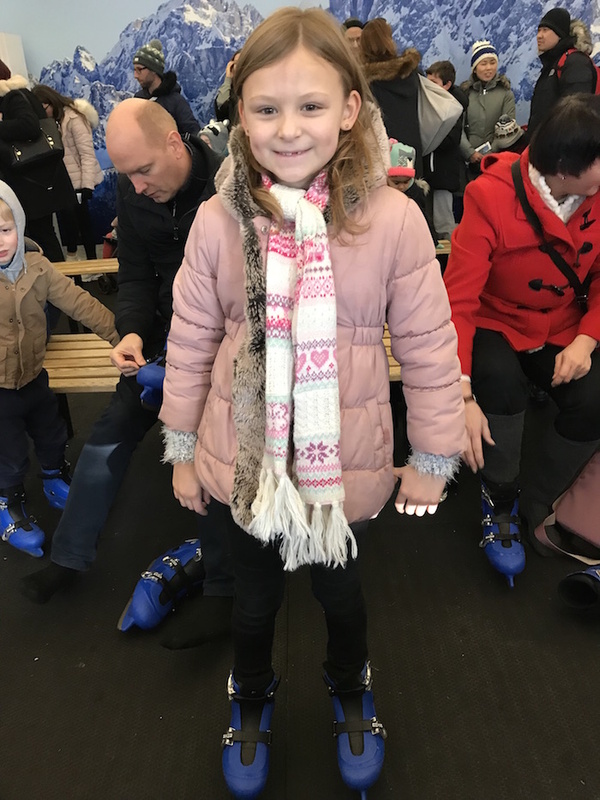 Our slot was for 1 hr and we were there very early which I really recommend you to do so you can organise yourself, get your skates and also rent a penguin on time for the little ones as they can get booked up very quickly. We weren’t able to get one for Sienna last year and we really regretted it. She got one this time and was also able to wear proper skates this year (rather than the ones which fit over your normal shoes) which she was so happy about! We were ready on time so we went outside next to the ice rink to wait for our turn. It was such a beautiful sunny day that we couldn’t resist taking some photos. My girls were super excited and eager to get on the ice. Nick helped Sienna whilst I skated with Bella. The girls were both so happy and really enjoyed it. We then swapped places so I was with Sienna and Nick with Bella. We spotted the selfie camera again so we stopped there to take a family photo again. It didn’t turn out as good as the one from last year but it was a fun photo anyway! Sienna did a fantastic job this year. She lasted about 4o minutes before she got tired which was much more than last year. 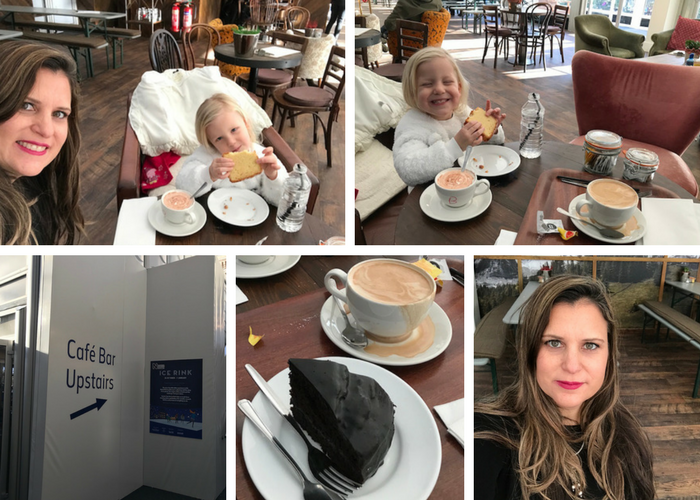 Bella was having such a great time that she wanted to stay for the whole hour which was fair enough so I left the rink with Sienna to go to the cafe while Nick stayed with her to akate until the end of the session. Sienna and I changed our skates for our shoes and went upstairs to their lovely alpine Café Bar. I absolutely love this cafe! They have the best chocolate cake ever! I, of course, had that with a delicious cup of coffee and Sienna enjoyed a babyccino with Lemon Drizzle Cake. Bella and Nick joined us after the session ended. Bella was amazing this year! I was so proud of her. She managed the whole hour slot and really enjoyed it a lot more this year! Bless her! She also asked for a babyccino but with a cookie. The cafe has a balcony with a beautiful view overlooking the ice rink. Before we left, the girls had a ride on the carousel. Last year they did the same and so wanted to do it again this year too! We made a video, which you can still watch, of our visit to the ice rink last year. The ticket prices are from £8.80 for children, £12.65 for adults and £39.60 for a family which includes the booking fee. We really enjoyed our time once again this year. 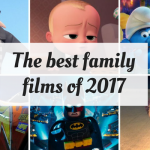 It’s a really nice activity to do with your family. As I mentioned before the ice rink is open until 7th January 2018 so you still have plenty of time to visit. 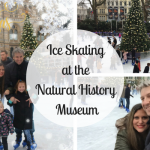 Have you been to the Natural History Museum Ice Rink before? Are you planning to go ice skating this year? 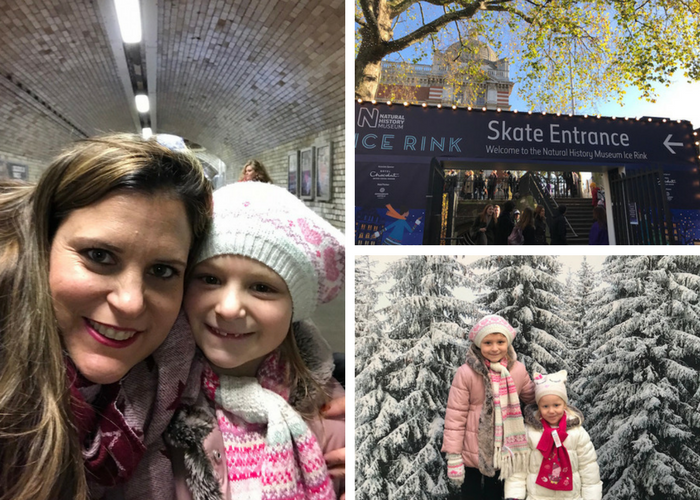 *Disclosure: We were invited to the Natural History Museum Ice rink for the purpose of this blog post. However, all thoughts and opinions are my own. Lovely for the children to do on a Sunday morning. 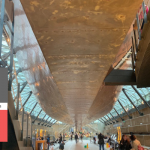 I love the Natural History museum, how lovely to be able to go skating there …. looks wonderful ! Yes the view is amazing! Last time I went ice skating was in Central Park, New York. Amazing. So festive and fun to get the whole family outdoors. It’s a shame it’s so far from the Midlands where we live or it would have been on my list of places to visit with the kids. These outdoor rinks always make me think of NYC, never knew there was a big one in London. Fabulous! 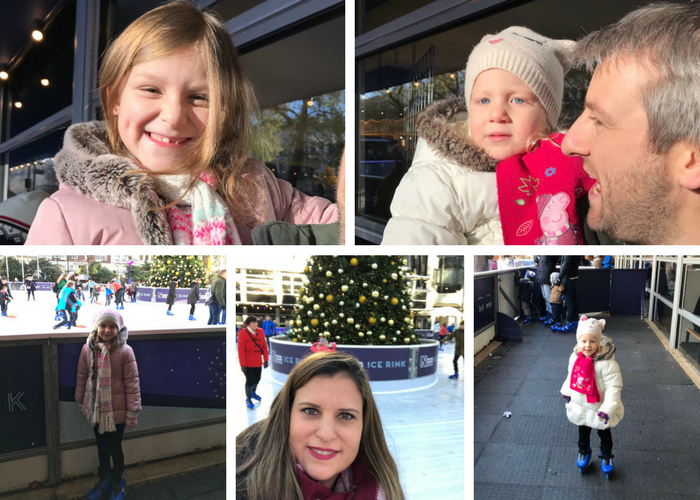 Ice skating is one of our favourite winter activities! 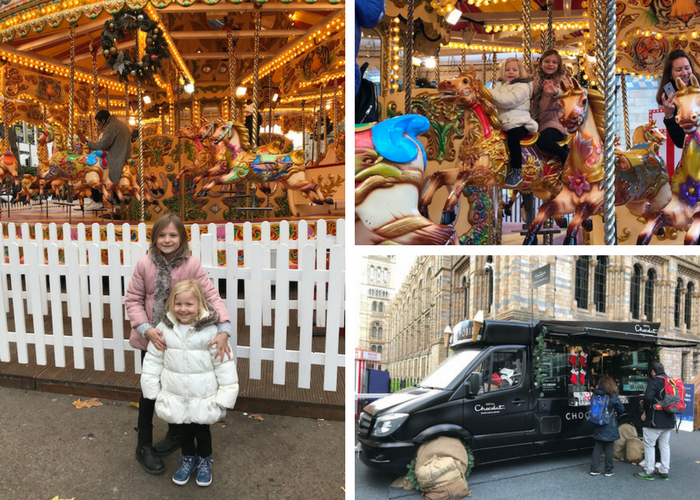 We love visiting the pop up Ice rinks around Manchester every year!